Looking for ideas? 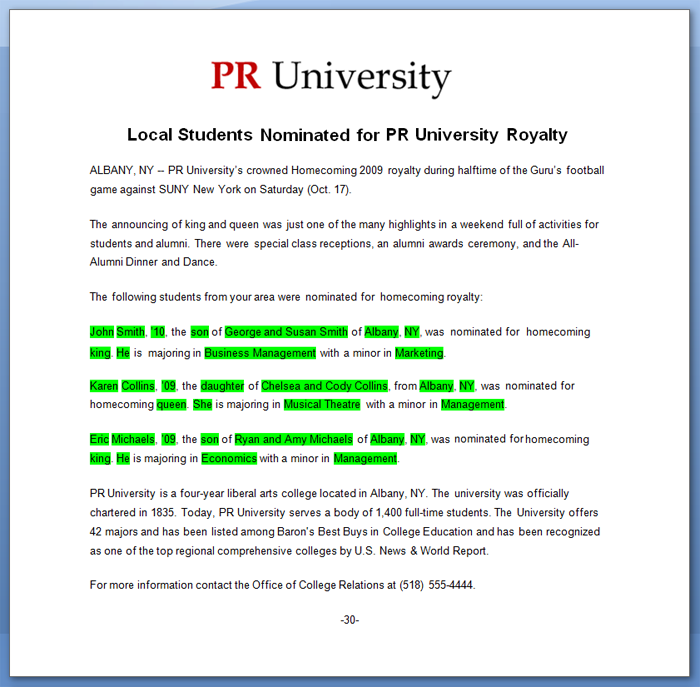 Here's a press release about homecoming nominations. 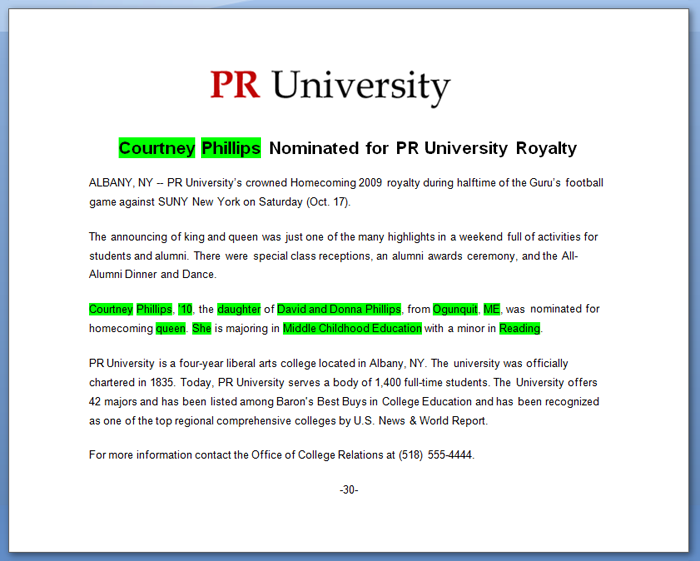 Text from their spreadsheet is highlighted in green. A sample Word document and spreadsheet are attached. Send an individual hometowner about the winners when they're announced.